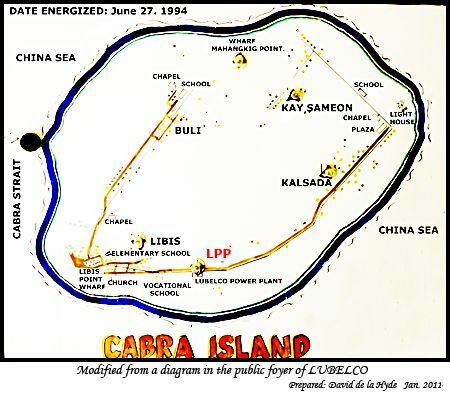 The Lubang Electric Power Cooperative Inc. (LUBELCO), which may have associations with Occidental Mindoro Electric Cooperative (OMECO), manages the supply and distribution of electricity to consumers in the Lubang Island Group (LIG). 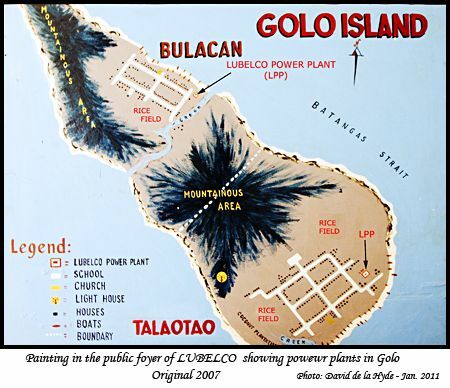 The National Power Corporation (NAPOCOR) through its Small Power Utilities Group (SPUG), is mandated to provide electricity to remote islands and distant inland barangays that are not connected to any of the main grids. 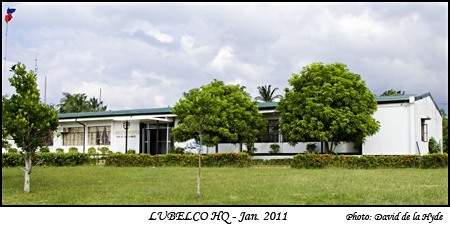 The NAPOCOR deisel generation plants are situated opposite the main office of LUBELCO in Bagubag, Vigo, Lubang, Occidental Mindoro. NAPOCOR has 2 deisel generating sets: one of 500 kW and the second of 650 kW. In 2007 the maximum demand on the system was about 370kW but this would now be substantially higher. 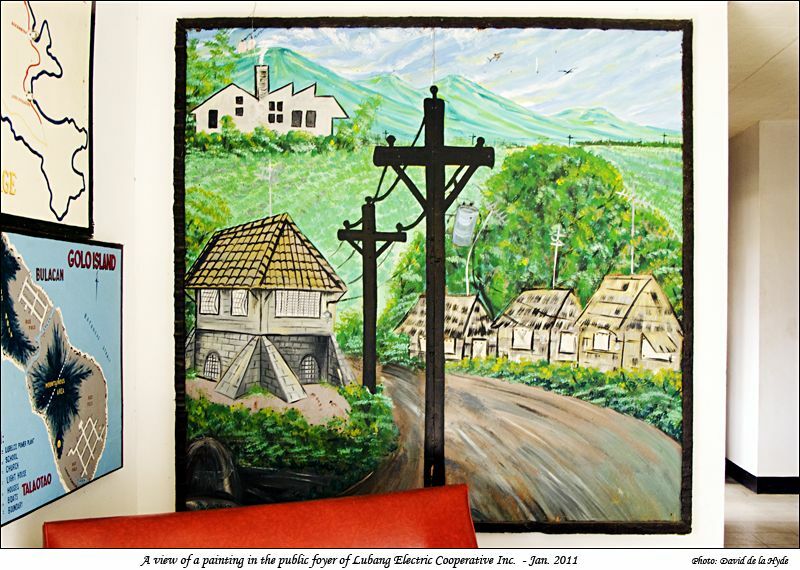 Power rates in 2009 were P5.89 per kilowatt-hour for residential and P6.2378 kwh for commercial users. 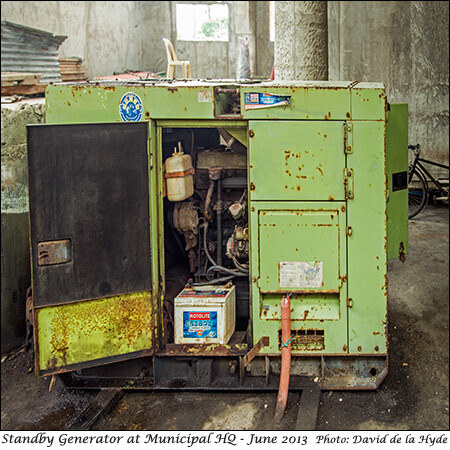 With the rise in price in diesel fuel, and increasing demand for power, alternative scources of future power generation are being considered. One is by utilising biomass fuel and another is wind turbines. Over the past year wind data has been recorded from the installation pictured above. If the results are satisfactory, and money for investment available, then one or more wind generators may be installed. 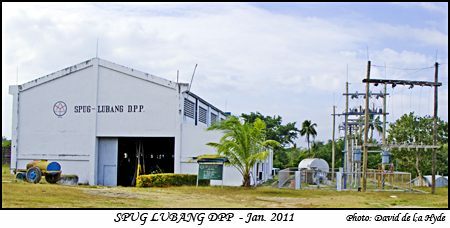 On the right hand side is the generator switchyard which was commissioned in 2007. Two pole mounted transformers can be seen. Contact Numbers: (0918) 306-89-70 , (0919) 254-69-84 Cell no. 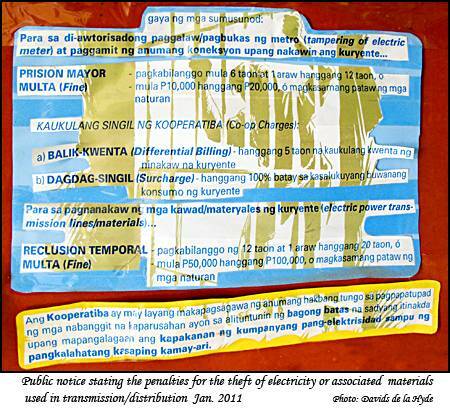 Imprisonment from 6 years and one day to a maximum of 12 years, or a fine from P10,000 to P20,000, or both. 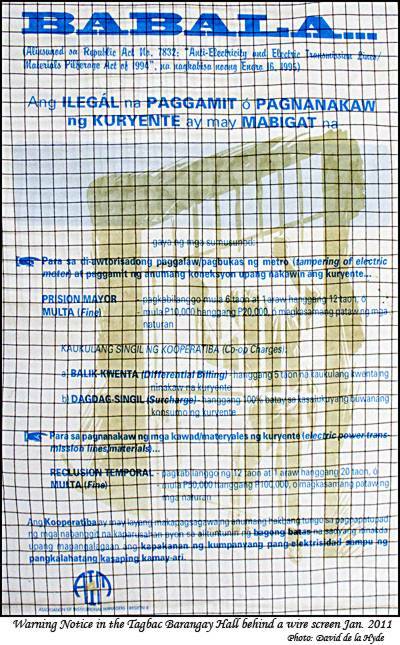 (a) The differential billing for stolen electricity will be an additional surcharge applying for up mto 100% based on monthly consumption. (b) Further charges (surcharge) up to 100% based on current monthly consumption. 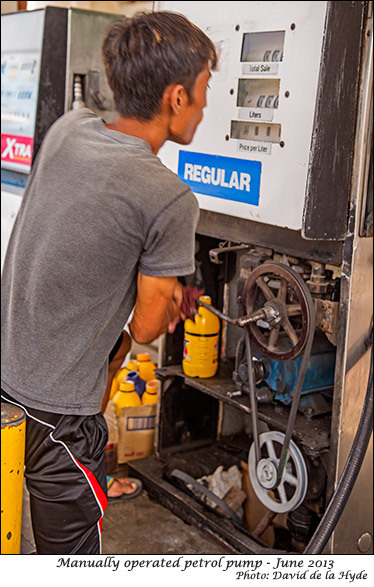 In the case of power blackouts, the service station petrol pumps are manually operated. 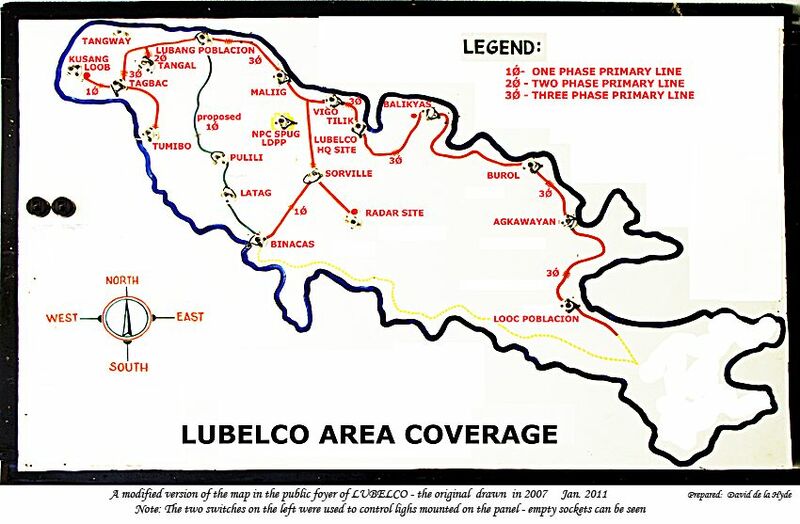 If diesel fuel for LUBELCO has run out there can be a blackout for several days - as occurred on my visit in June 2013.